Can't They Do The Same Thing On Paper? I've started using Google Drawing as a math centre this year. 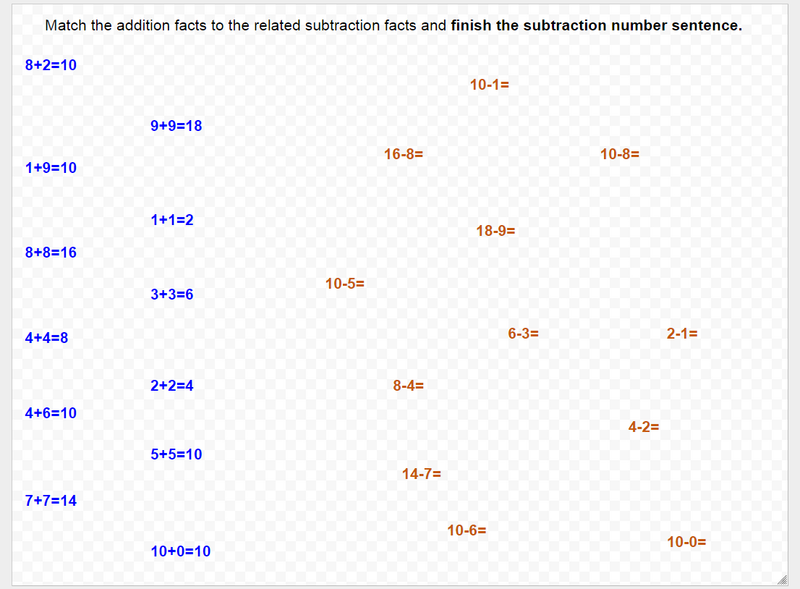 I've been creating what I call digital worksheets. Students are given material to respond to, similar to a paper worksheet. So why not just give them a paper worksheet? 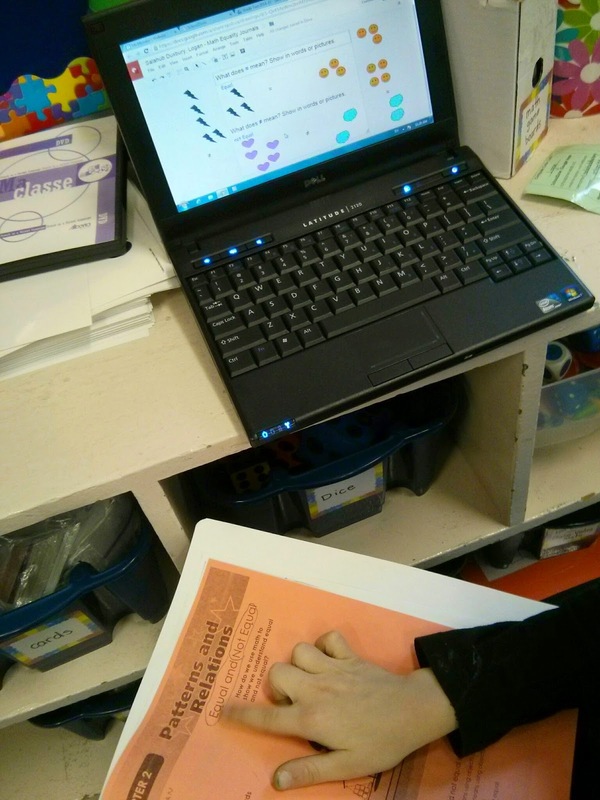 Technology in and of itself is motivating - it can be in colour when worksheets are black and white. It teaches them skills that will allow tasks to be more student created later in the year. The more I use this format, the more likely I'll create more transformative activities. Typically I do math centres a minimum of once a week. I have three centres in a one hour block. So that is about eight students to a centre. I try to make two centres that require little teacher input and then one Google App centre that I spend most of my time at. I give a quick overview of the centres to start and then students rotate through the centres. Each centre is about 15-18 minutes in length. 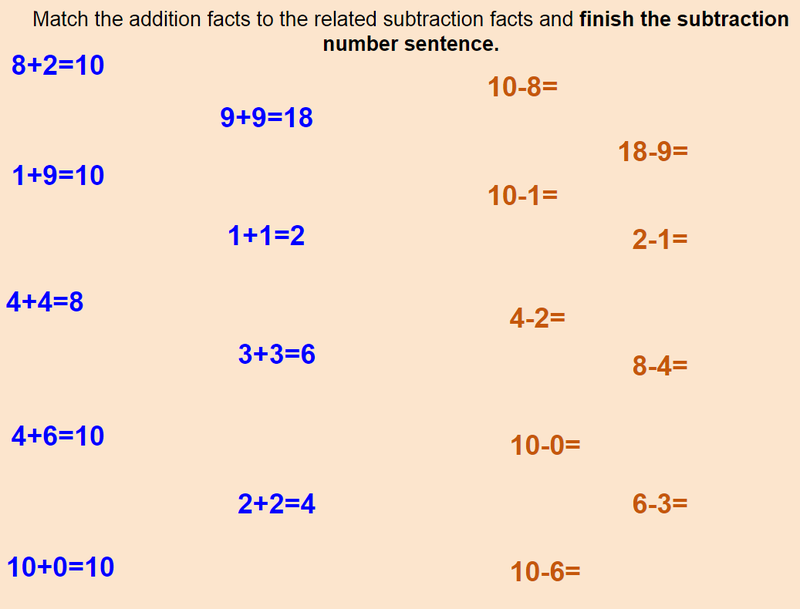 Students had to drag the subtraction number sentence to the related addition sentence and use the addition sentences to solve the subtraction questions. What worked well: the simplicity of the activity. What I would change: I made the font too small. My students use netbooks and while it worked okay, I think less questions with a larger font would be better. I have made a revised template for use next year. To use it yourself, open the file and Make A Copy. Students had to drag the dots to the scales to either make the picture look equal or not equal. Students then had to fill in the number sentence - I had provided the symbols. What worked well: students were able to do the task independently and they enjoyed the activity. Some were disappointed that the scales did not react to their choices ("Why doesn't the scale move up or down?"). What I would change: Sometimes students would drop a shape where they did not want it and in attempting to move it, would move the scale instead. I would like to find a pan balance image that would eliminate that issue. 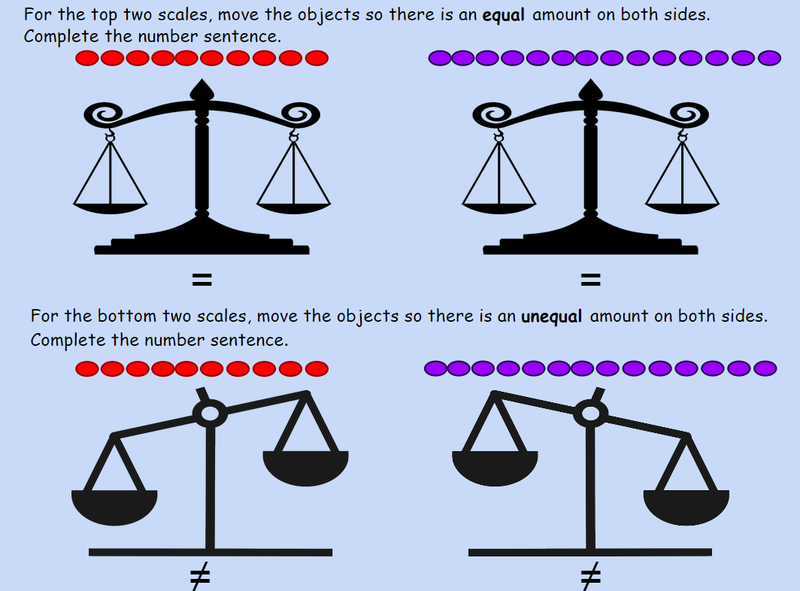 I try to always use images in my class that are free to use and I was not able to find a two pan balance/scale that was free to use that did not have a middle stem. I also required students to use all the objects for each picture. I do not think I would set that restriction next time. Here is a template. To use it yourself, open the file and Make A Copy. Students had to drag the images to show two equal sets and two not equal sets. Students then had to type a sentence for each symbol to explain what it means. My student who did not know how to spell equal was able to grab his duotang and use it to spell it for his work. What worked well: All students completed all parts of the task. What I would change: Nothing at the moment. I kept in mind the issues I had in the previous two activities and I was really pleased how it worked this time. Third time is the charm they say? For these and other division one Google App templates, check out Division One Collaboration Site For Educational Technology. Click on the activity you like and make a copy!